With the good news that I have reach my first 1,000 pages of this the fifth year of my goal, it was a bit slow but I have pick up the pace. It also helped the I got some Graphic Novels that I haven’t read. Three great volume of the Goon series, written by Eric Powell, and Batman/Superman/Wonder Woman: Trinity, written by the comic legend Matt Wagner. So that’s 1,226 pages down, 48,516 to go. Today is the birthday of my favorite author Mr. Neil Gaiman. I first read Neil’s Sandman around 1999 and started with Brief Lives, and to say I was hook is an understatement. His rich and deep worlds captured me and I have no plans to ever leave them. It was is novel American Gods that consolidated me as a live long fan and is actually the last piece of literature that I plan to read to reach 1,000,000 pages (yeah that’s how much I love this novel). So today I finally reach the half-way point of one of my mountain book, this particular one is my Mount Everest. I started reading Jonathan Strange & Mr. Norrell on the 20th of August and almost 3 months later I have reach the middle, don’t get me wrong it’s a beautiful and intricated story and I have enjoy every bit of it. This mouth-full of a book was written by the talented Susanna Clarke. I hope that the other half doesn’t take me another 3 months. I started this endeavor in October of 2008, and have read (till about 15 minutes ago) 56,325 pages. My rules are quite simply, read anything and everything that I find interesting, which are mainly fantasy, science-fiction, horror, mythology and history books, graphic novels and comic books. I can’t put the same book twice, unless is read in another format, i.e. 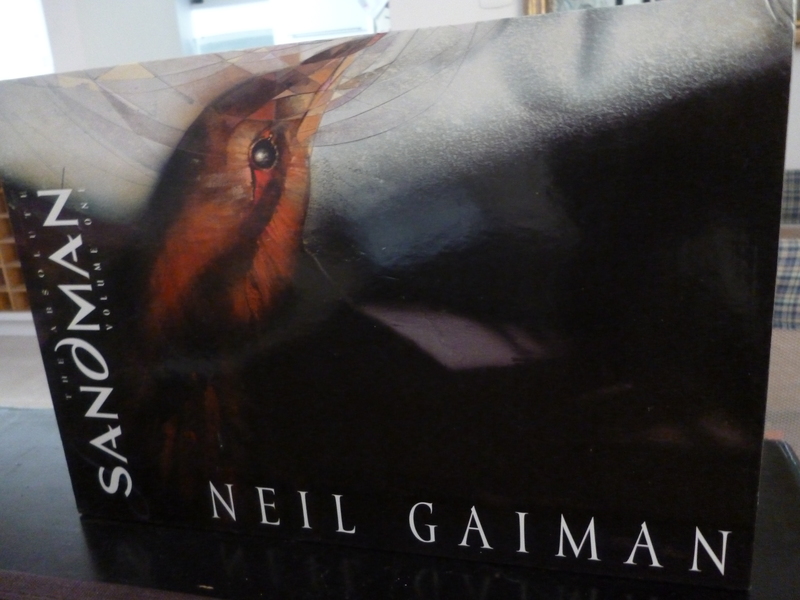 The Sandman Series I have read it in Paperback Format and the Absolute Edition. And my most important rule, I must enjoy every single word of it. I will be posting new entries every Friday to comment of my weekly advance and when I feel the need to share something. Hope you enjoy it and book suggestions are more that welcome. So today is november the sixth of the year 2012 and I have read 111,748 pages.